"OMG! This is a debut novel??! This novel pulled at my heart strings from beginning to end! How Ms. Shepherd intricately interwove each of the characters from the start of the novel to the very end had me mesmerized. I couldn't put this book down!" - Cherie M.
"If one was to take Stephen King's The Stand, Justin Cronin's The Passage, Ray Bradbury's Fahrenheit 451, and J.M. Barrie's Peter Pan, put them in a blender, add some wonderment and magic, you'd end up with this book. Captivitating and proof that love truly is stronger than fear." - Tracey P.
"The Book of M, the first novel by Peng Shepherd, is a thrilling genre-bending tale ... There are moments of action, reflection, fantasy, and romance throughout the book ... it achieves a strong balance in these areas without feeling like any one aspect is overdone. "- Daniel N. Read his full review here. "The twist spun me in a circle, knocked me down, then picked me back up again. The book was unexpected. So thoroughly unexpected. You should read it just to know. Just to understand what exactly is meant by the blurb on the back. ... you will not regret going on this journey." - Stephanie B. Read her full review here. "This book is written in such an incredible way that makes it hard to believe it is a debut novel. The Book of M tells a highly imaginative and skillfully unique story. This is such a fantastic story, written in a truly memorable fashion." - Laura R.
"I was so impressed with this dystopian/post-apocalyptic novel. I don’t give a ton of 5 star reviews but I so enjoyed this novel, it was so exciting to read." - Brandy K. Read her full review here. "I love love love this book. Heartfelt, suprising, and captivating ... This is one of those books that would be perfect for a book club discussion." - Belinda J. Read her full review here. 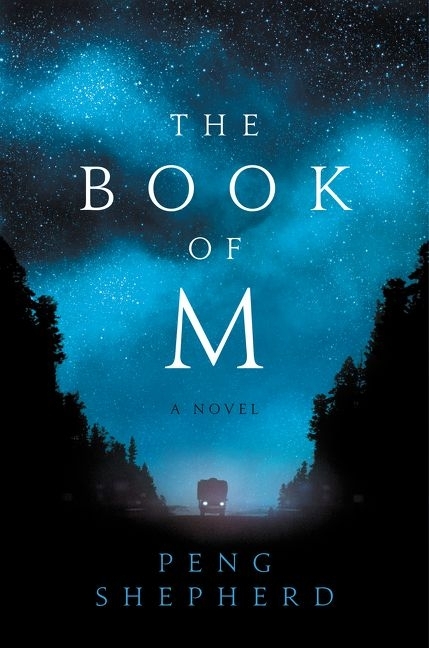 Share The Book of M!